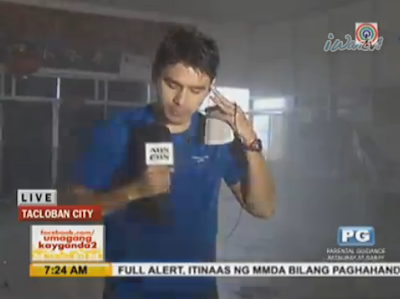 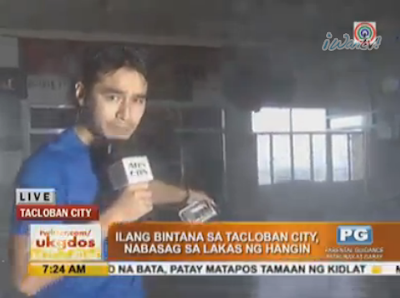 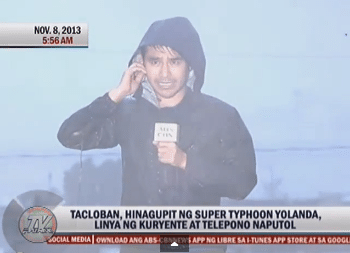 If there’s anything positive that super typhoon Yolanda brought us, it is the sudden appreciation for the work that unsung heroes like news reporters do. 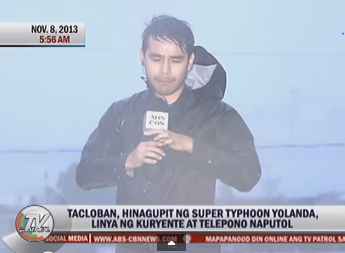 That was the case when ABS-CBN correspondent Atom Araullo went on to the number one spot on Twitter’s nationwide trending list earlier tonight. 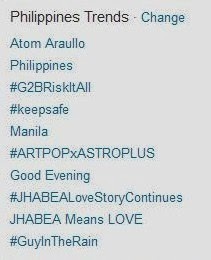 His name eventually trended worldwide. 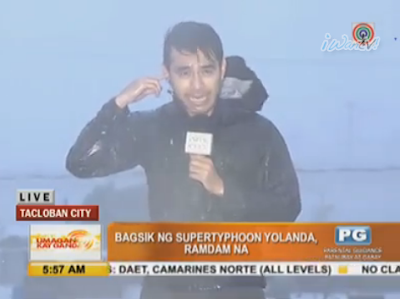 Tagged by netizens as the #GuyInTheRain (a spinoff from the recent box-office success She’s the One’s #GirlInTheRain), Atom was lauded for braving the strong winds and heavy rain in Tacloban, part of the center of the storm. 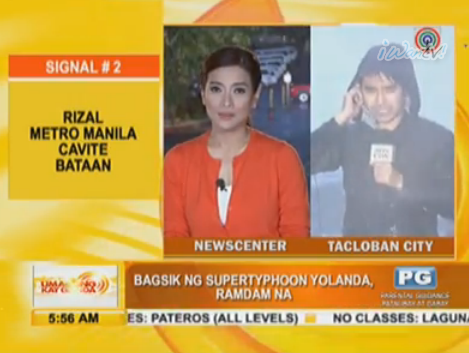 At one point in Umagang Kay Ganda, the 31-year old reporter still went on with his report even when he was no longer visible onscreen and wasn’t sure if anchors Bernadette Sembrano and Anthony Taberna could still hear him. 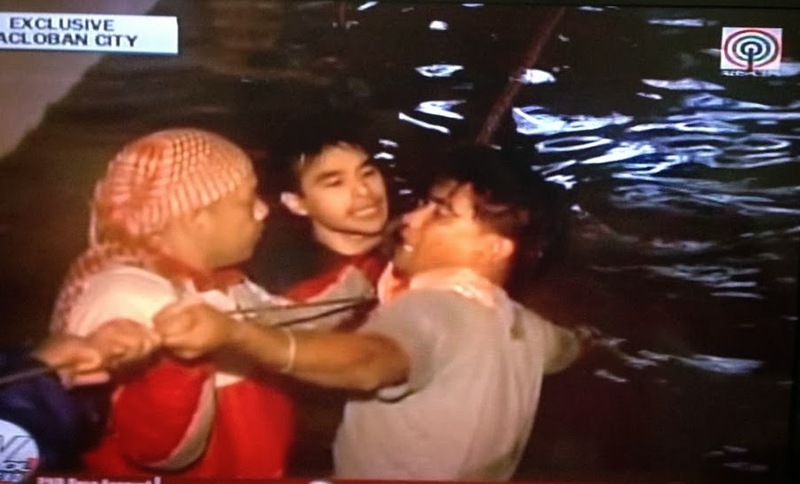 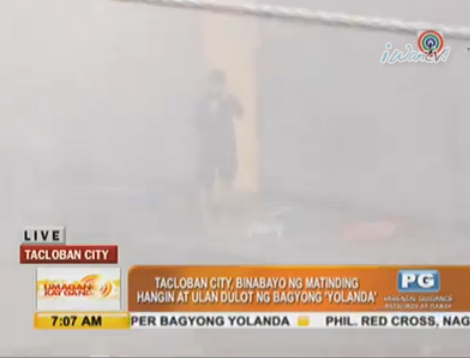 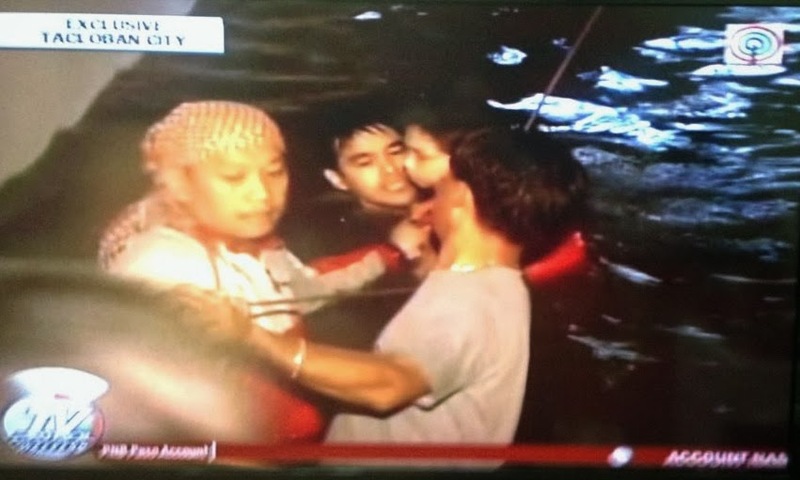 Update: Atom was also caught on cam holding on to a rope and rescuing victims himself. 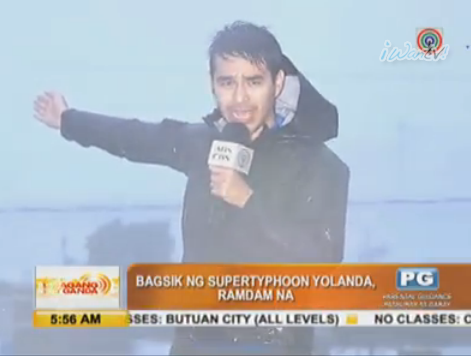 We think that aside from Atom, his fellow field reporters stationed in other areas also deserve this kind of appreciation. 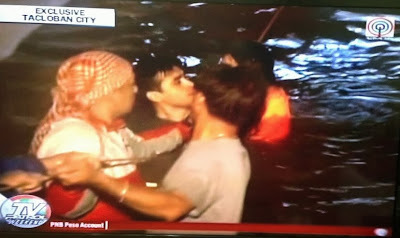 It’s about time they get the spotlight for the sacrifices they make and risks they willingly take to keep us all updated. The Megastar Sharon Cuneta was among those who expressed admiration for Atom. Click Read More to continue….